In each combat encounter, players will rapidly tap an attack button to deal damage to nearby enemies, with skills presented as hot keys surrounding this main attack button. For instance, a Taichi Master named Pan Da can unleash a “Tornado Strike,” which sees him spin rapidly in circles to attack all nearby enemies. Meanwhile, the treasure hunter named Lauren Catcher can utilize a “Shadow Swipe” move to quickly warp around an environment, attacking multiple enemies in the process. Each character comes with multiple moves, which must recharge before they can be used again. Outside of a single-player story mode, players will be able to compete against others in multiplayer arenas. In the base arena, players will take their characters into battle against the AI-controlled opponents of other players. By defeating these enemies, players win rewards and experience points, with the top 1,000 ranked players each day receiving rewards. Meanwhile, a real-time arena will allow users to fight others in real-time, head-to-head battles. Finally, a three-vs-three battlefield mode will encourage users to join their friends on a team, or be matched with other players on their own. Victorious teams receive a currency called Honor, which can be redeemed for various rewards. This particular battlefield mode will be available at select times during the day. For cooperative social play, users will have the option of working together to defeat groups of enemies in team dungeons, or join guilds to meet other players before heading into those battles. 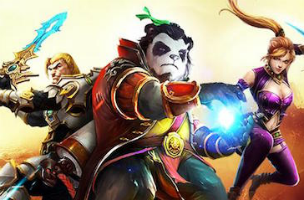 Taichi Panda will launch on iOS later this month. The game is also in development for Android devices.